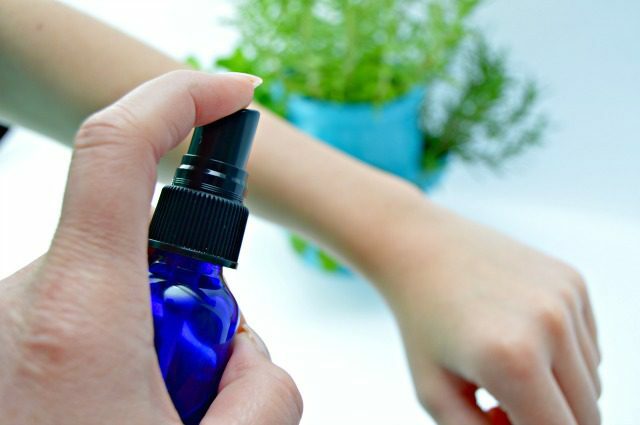 This easy homemade bug spray recipe is simple to make and isn’t full of all kinds of crazy chemicals. 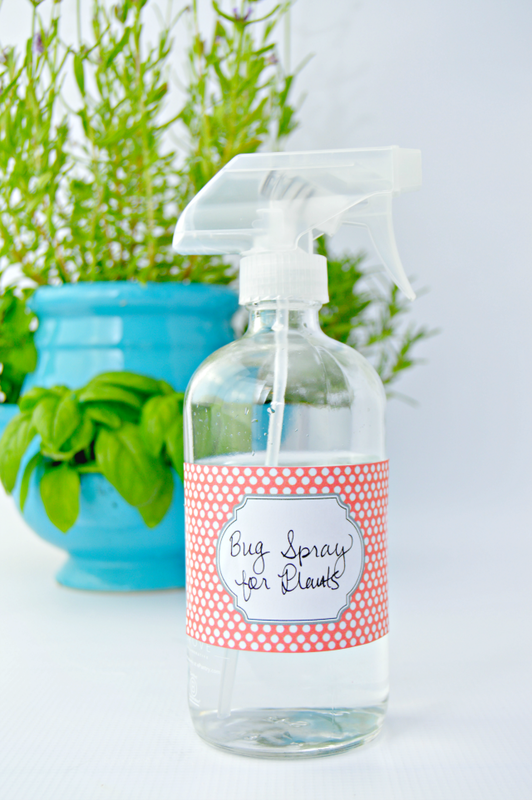 It’s a safe alternative to store bought insect sprays and works like a charm! 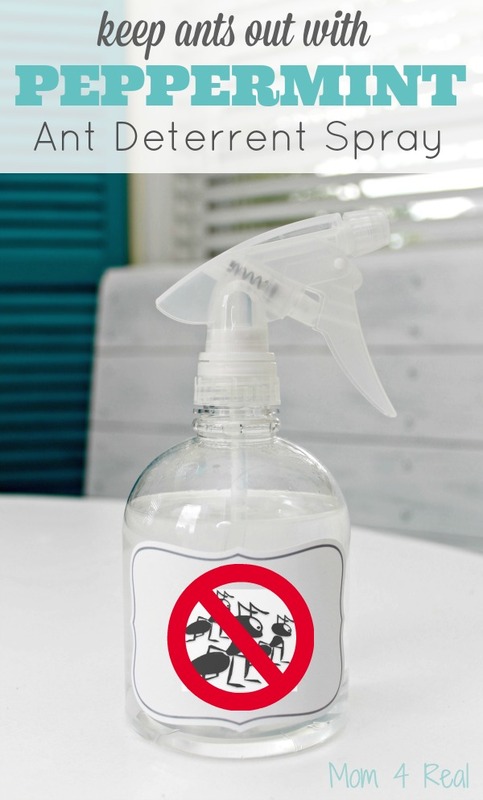 Store bought bug repellents can be so harsh and are full of unknown chemicals and ingredients. We had used it for years and years, but the overwhelming chemical smell and greasy feel of it always bothered me. 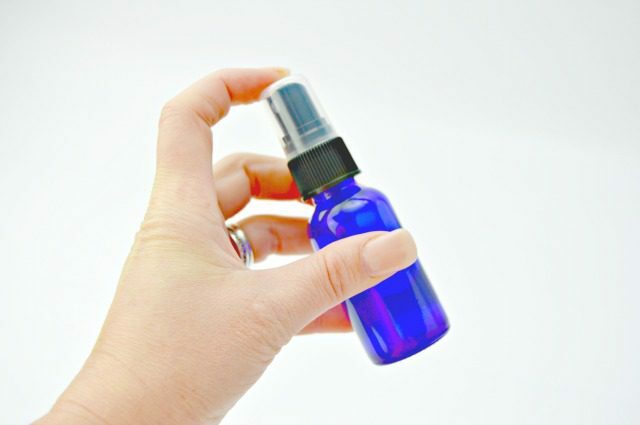 I am so excited to share the homemade bug spray recipe that we use all summer long to keep mosquitoes and other biting insects away while we spend time outdoors. It’s super easy to make and really does the job. I love that it isn’t full of harsh chemicals, and there is no huge cloud of bug spray left behind. It doesn’t leave your skin feeling greasy and it has a lovely scent too! 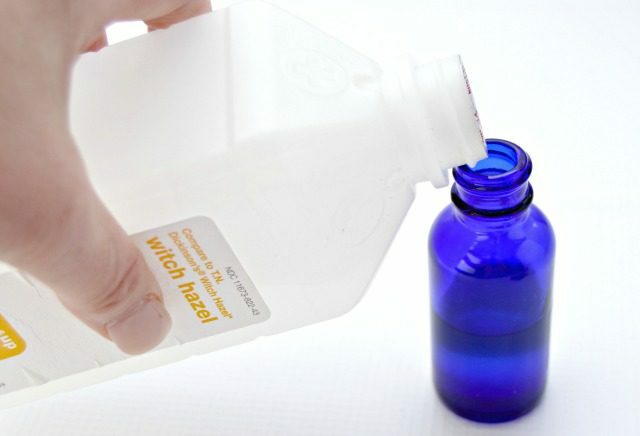 Add 1/3 cup of witch hazel to the spray bottle. I like using these 4 oz. spray bottles because they fit in my purse, pool bag and I can make several of them at a time. You can absolutely double or triple the recipe and make this bug spray in bigger bottles. Add 5 drops each of lavender, citronella and lemongrass essential oils. Replace the cap and shake well before each use. Because there are no chemical binders in this spray, ingredients may separate after sitting for a while. Spray liberally onto skin and clothes to keep insects away! I love that there is no crazy chemical smell, and it doesn’t leave your skin greasy at all! I hope these recipes and ideas will help you keep the bugs away this summer! I love that there are ways to cut out some of the chemicals that are in store bought solutions and find a less expensive and safer way to still enjoy the outdoors and our homes too! I wanted to leave a comment about dishwasher soap, but could not find comment box. My home is on a septic system(live in desert ) and cannot use powder dishwashing soap. New challenge for you. Have to keep my micro organisms working and not plug up my system with whatever powder soap does. Washer waters trees. Thanks, Janet B.
I use castile soap for everything. It is plant based and won’t hurt your system. If you buy it in bar soap form, you can melt it and make it whatever strength works for you-melt by putting in a pot of water and either leave it to slowly melt, or heat water to speed it up. I use it for shampoo, laundry, dishes, etc. Hi Kathleen how do u use it for laundry etc? Boric Acid powder. Buy it at many dollar stores about $4 for about 20oz. It has a screw nozzle. Just lay down a fine powder along baseboards or wherever they are entering. I spent thousands of dollars on professionals to come & spray every month. It did nothing. Then I found this. It’s cheap, it’s available, it’s easy AND IT WORKS !! And I mean it REALLY works. You don’t by any chance have something good for cockroaches? How about fleas for the dog and cat? Dry used coffee grounds and spread them around house or rv(like we did). As grounds deteriorate give off gas that interferes with feelers. They stay away from the area u spread the grounds. Use diatomaceous earth, it cuts into their exoskeleton and makes them dehydrate. It’s good to kill just about any INSECT. It will not harm mammals and is even considered food grade. However it’s only effective as long as its dry so better to be used inside the house. We can buy it here at Tractor Supply Company as a 20lb bag for $20. Thank you for all your great ideas.Please help me on how to rid my kitchen from crickets all natural way thank you. Will the ant repellant work on cockroaches too? Question. You say to use witch hazel for the bug spray. The picture show ROSE witch hazel to purchase. Does it need to be rose, or can it be the CVS brand of witch hazel? Hi! We are in the woods a lot. I am searching for a tick repellent. Are words of wise don? What can be used for Asian beetles? They are everywhere in our cabin. I wouldn’t use this particular spray for dogs. Lemongrass and citronella can be irritating to them. I would look for a natural alternative at a local pet store. Hope this helps! I bath my dog in dawn dish soap. And get the heartworm medication that kills fleas and my dog never have fleas. They say it don’t work for ticks but I’ve not seen about 5 ticks on my dog in 5 years lol I have found more on me than than that a year. My dog weighs 130 lbs. It’s about $25.00 a month they take 1 pill a month because of the cost I give it every other month from November to April summer months give it every month and on time because that last week the meds. Are weak u may start seeing fleas My husband and I both had rocky mountain spotted fever. My son said put it in a sprayer with enough water to get it to spray it kill bugs wasp bees on contact it destroys their outside shells. I have not done it my self yet. But I have ants in my kitchen all year long. I’ve been experimenting and when I see a trail of ants I pour a line of dawn down they want to across it for days. So I’m putting it in a sprayer today. Do you have to use lavender in the bug spray or is there a substitute? I can’t stand the smell of that stuff (everyone says smells like flowers but my nose says dirty gym sock) lol. I am anxious to try it especially since I’m a mosquito magnet, they bite me 5 times more than anyone else. Hi, Moenie! I have heard other people say that they can’t tolerate the smell of lavender. 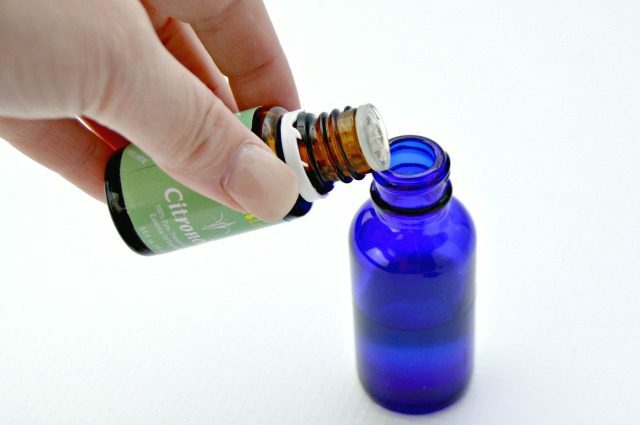 Try citronella essential oil…it has the same effect and doesn’t have that super strong smell. Hope this helps!